Choose this versatile indoor electric grill! If you want a multi-purpose panini press grill that will cook both panini press style and regular grill style sandwiches, then this one is for you. The Maxam 4-Slice Panini Sandwich Grill With Detachable Trays features two styles of sandwich plates__ grill and smooth. 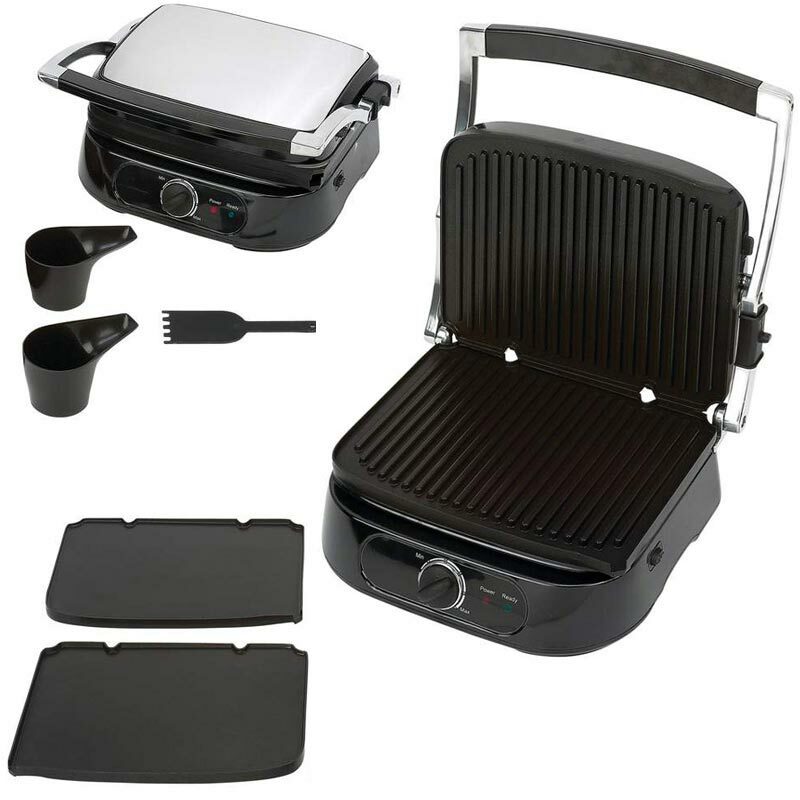 4 slice panini grill Offers cooking capacity at one time for four sandwiches. 2 additional smooth trays Provide option for sandwiches other than panini press style, like grilled cheese, ham and cheese, English muffin, etc. Nonstick coating Allows easy removing of cooked sandwiches and easy clean up after the meal. Light indicator Shows when panini press grill is heating and then ready to cook the sandwiches. Drip tray Captures juices and ingredient spills. Non-slip feet Keep grill in place on counter, range, or tabletop. Gift box Offers attractive container for panini maker to be given as a housewarming, wedding, or shower gift.